HELENA – Retirement facility employees in Montana could hypothetically record videos and photos of patients and post them to social media sites under current state law. House Bill 244 would change that, making it a felony to record seniors, or people with developmental disabilities, in uncompromising situations in any setting. The House passed the bill 69-to-30 and it’s now in the Senate. The Senate Public Health, Welfare and Safety Committee will hear first testimony on the bill Monday. 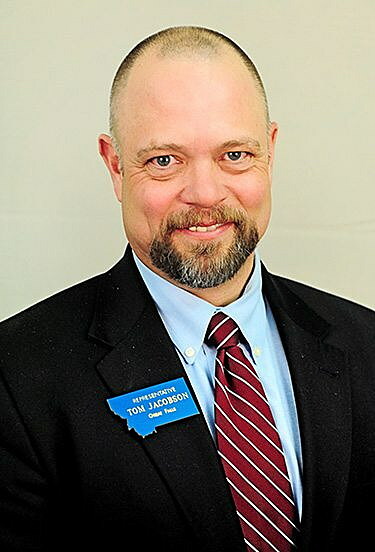 Rep. Tom Jacobson, D-Great Falls, is the sponsor of the bill and said the idea came from an article on an elder abuse case in Iowa. “It’s another step of getting our code up to speed with the internet and social media and all the things, and I think we’ll protect a lot of our seniors,” Jacobson said. During debate on the House floor, Rep. Alan Doane, R-Bloomfield, had issues with the bill’s wording. Rep. Dennis Lenz, R-Billings, serves on the House Human Services Committee that passed the bill onto the full House. He opposed the bill during all three hearings. “Words do mean something in this bill and we just could not get away from, ‘tends to cast ridicule or shame,’ and what exactly does that mean?” Lenz asked. Jacobson said the bill was written with the help of the Legislative Services Division and the state attorney general’s office. He said he also got help from the state’s lead prosecutor Brant Light on language in the bill. “I don’t know how much better language we can get than the chief prosecutor for the state of Montana writing it, and putting it into statute – so that he knew that it was going to be something he could prosecute from,” Jacobson said.